Renowned for their bold, stylish designs Sajen presents this sparkling druzy piece that's guaranteed to wow. 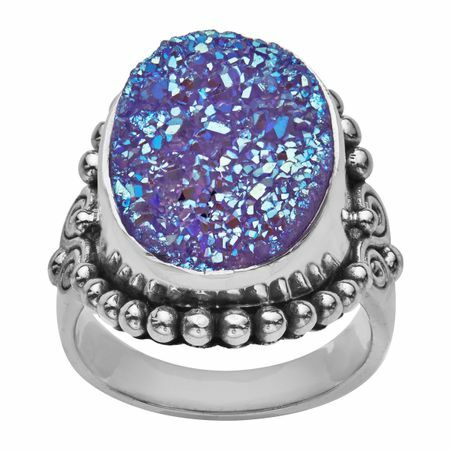 This ring features a dazzling oval shaped, lavender druzy framed by a stylized, beaded sterling silver setting. Ring face measures 7/8 by 5/8 inches.